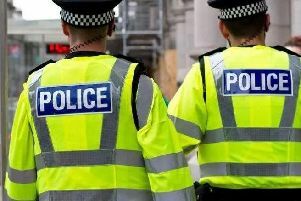 A woman from Bognor has been arrested on suspicion of driving whilst on cannabis and cocaine after a car was seen 'tailgating and attempting a dangerous overtake' in Chichester on Sunday, according to a Sussex Police constable. PC Tom Van Der Wee said officers stopped the vehicle just after 6pm in Bognor Road, Chichester and searched the driver, 'after we witnessed it driving erratically from Bognor to Chichester'. He added: "The driver and vehicle was searched and cannabis and suspected cocaine was located. "She was arrested for driving whilst unfit through drugs, driving whilst over the prescribed limit for drugs, possession of cannabis and possession of cocaine [and] taken to Worthing Custody where a specimen of blood was taken and she was interviewed." PC Van Der Wee said the woman, 'aged in her 30’s [and] from Bognor', has been released under investigation 'to await the results of the blood test'. In a tweet about the incident, the police officer said it is 'disappointingly' the seventh drug driver he has investigated in January so far.